24 year old female grad student from China is found to be Hepatitis B positive on screening. Several family members are HBV positive. 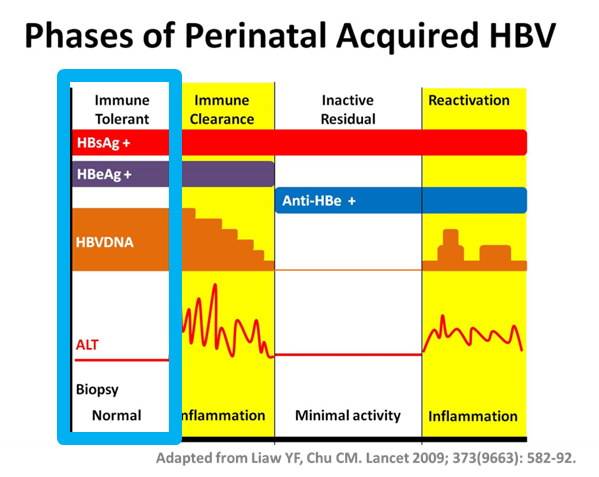 What phase of HBV is the patient in? Click next card to continue this case. Why not start keeping score? Registration is quick and easy.